From Deb Strain... I’m so excited to share my newest fabric group with Moda! 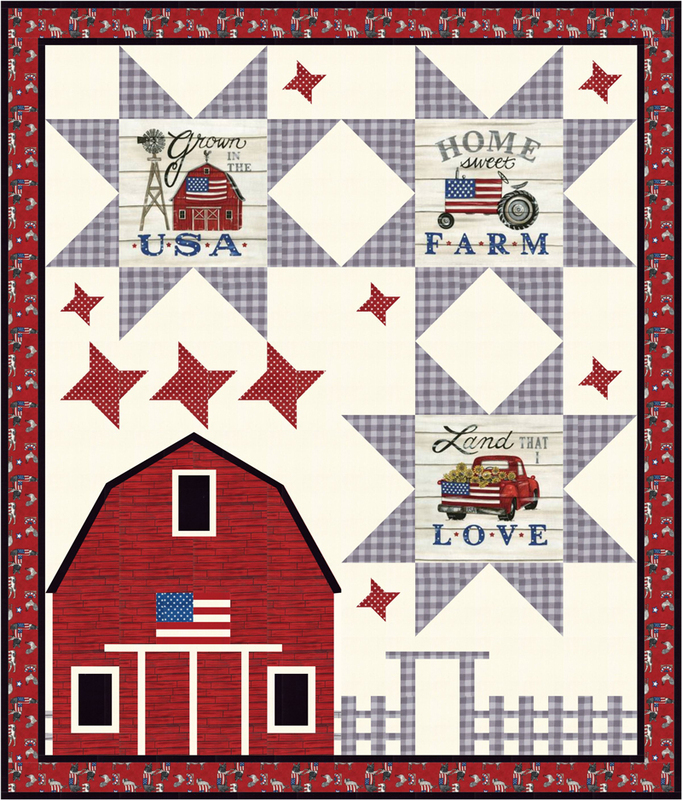 It is called Land That I Love and is a mixture of “farmhouse feel” and Patriotic themes. 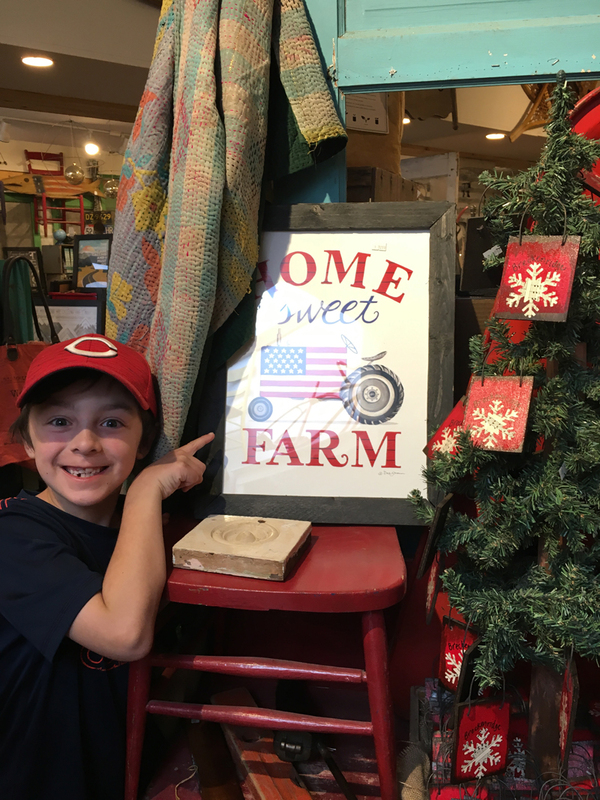 Several of the other blocks on the panel were taken from Americana paintings that I had done recently – as shown by one of my twin grandsons. 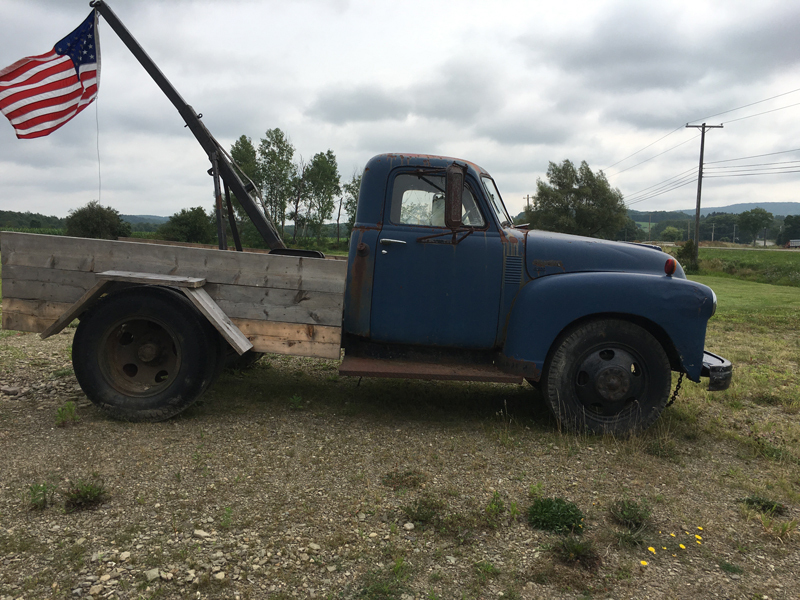 Whether it is a patriotic flag painted on a barn or an old truck with a flag, patriotism is part of life in the country! The paintings that I created for the panels in Land That I Love have a shiplap-like background and come in distressed white, warm grey and barnwood red. 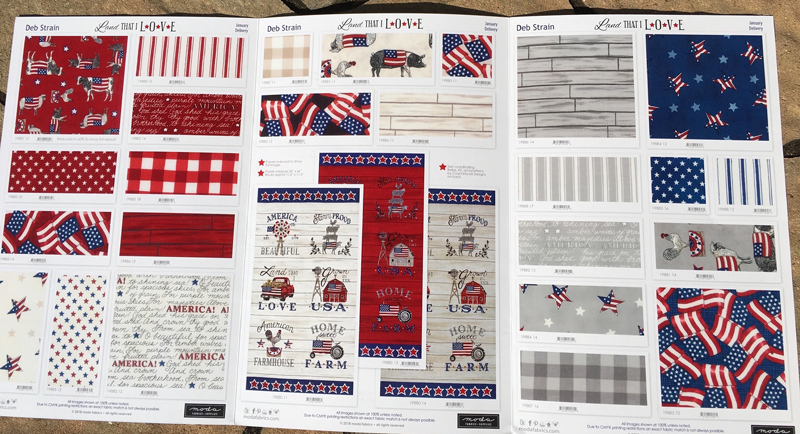 Coordinating patterns include farm animals with flags, stars, stripes and other patriotic icons that are not limited to the 4th of July, but can be displayed all year long. Barb Cherniwchan of Coach House Designs has designed several wonderful patterns to showcase this new collection. One pattern includes three banners! 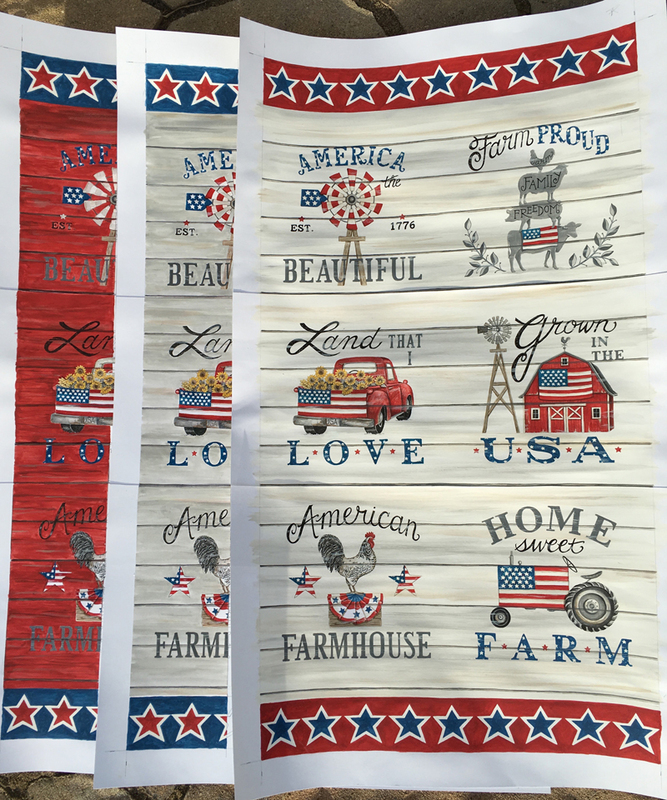 Here are two from that pattern… American Banners. Barb has also designed the kit for Land That I Love. It is titled Stars and Stripes and I love it! 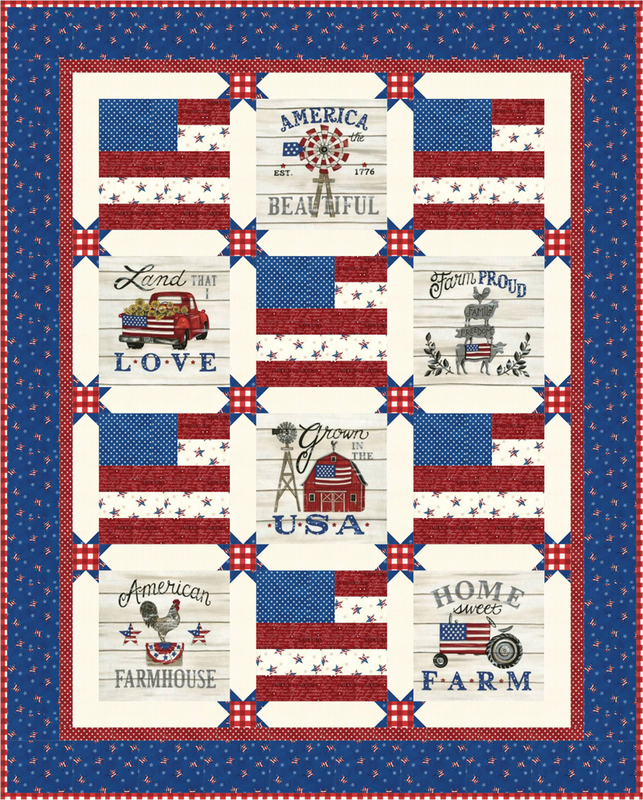 Combining farmhouse style and patriotic artwork, this Land That I Love quilt is also available as a pattern – Stars & Stripes. 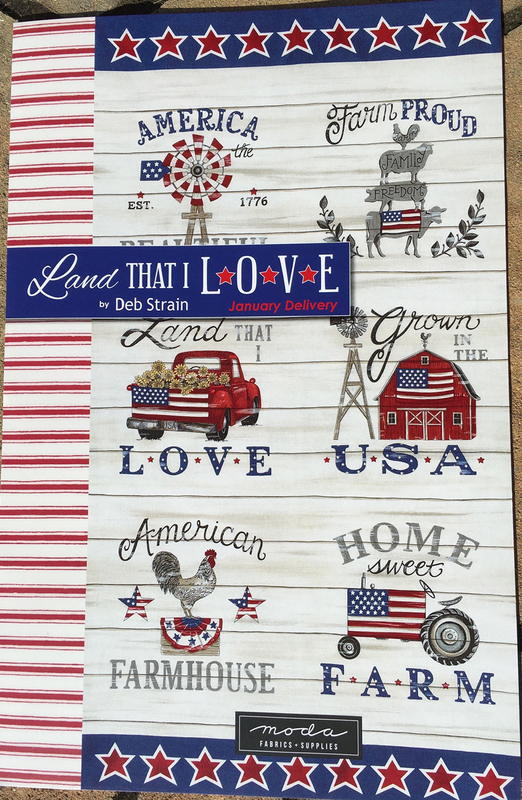 I love that it celebrates country living and Love of Country! I really love your newest fabric. It embodies all my fondest dreams, of country life, and of our wonderful country. We are so fortunate to live here. Beautiful panels. Can’t wait to get some. LOVE LOVE LOVE!!! I am so excited about this fabric!!!! I am so excited to see this fabric come to a quilt shop near me. I have to have some of those panels!!! Wonderful! Can’t wait to start sewing. Wonderful fabric. Will be looking for the panel. Thanks. Oh I love this!! Can’t wait to see it and get some. Oh my! I love this. Can’t wait until it gets to my local quilt shop. This patriotic country girl loves it all! Beautiful fabric. Love the truck photo! LOVE, LOVE,LOVE the panels and others! very beautiful panels/fabric. After watching Marianne Fons on the Quilt Show (internet) your panel was on a quilt she was making for a service member (that’s the panel I’d like a dozen of). Thank you so much for being a quilting artist. 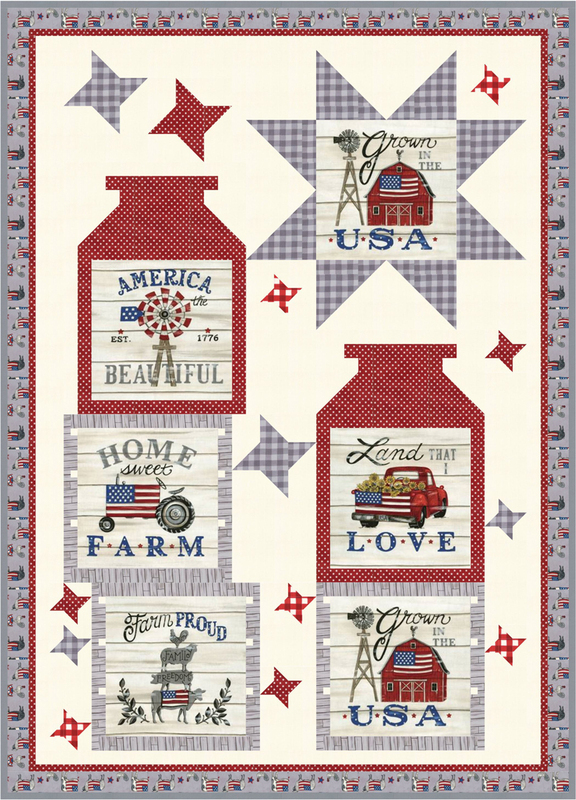 Love your Land That I Love fabric line. It is very much to my taste and represents all the things I love about this great country of ours and the way I grew up. I’d also like to make a suggestion to all the fabric designers and fabric companies out there. We need a line of fabric representing girls’ sports. My great-niece is a gifted athlete and I’d love to make her a quilt reflecting her interests. But there seem to be no fabrics out there representing volleyball, softball, girls’ basketball, soccer or track. If we expect to teach our girls to become strong women and leaders we need to represent them better in the public forum. These are fabulous! Can’t wait to get them. Quelle merveilleuse collection ! Fraîche et vraiment représentative de ce grand pays que j’adore ! What a wonderful collection ! Fresh and really representative of this great nation I fall in love ! I’m loving this line and can’t wait to start another QOV.